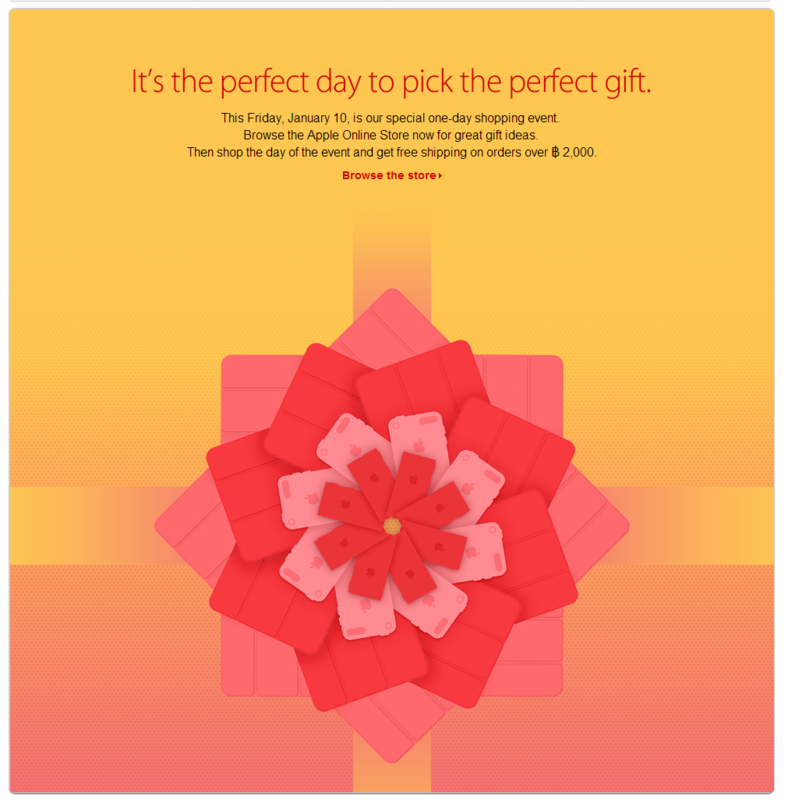 Apple has once again announced plans for a one-day “Red Friday” sale across Asia to mark the upcoming Chinese New Year period. The one-day sale will take place on January 10 across a range of countries, including China, Hong Kong, Malaysia, Singapore, South Korea, Taiwan and Thailand. It will come into effect for physical retail stores as well as the online shop. At this point it isn’t clear what kind of discounts Apple fans can expect from the sales — which were first introduced in 2012 — although free shipping will be offered for purchases of over $60, according to the promotion in Thailand.